I spy with my little eye lots & lots of excitement and preparations across the globe. Tales of events in Cambodia, Hungary, Australia and the Philippines are reaching our ears. There are book fairies (librarian Angela Reynolds) dusting off their wings to deliver books in Nova Scotia, Canada. 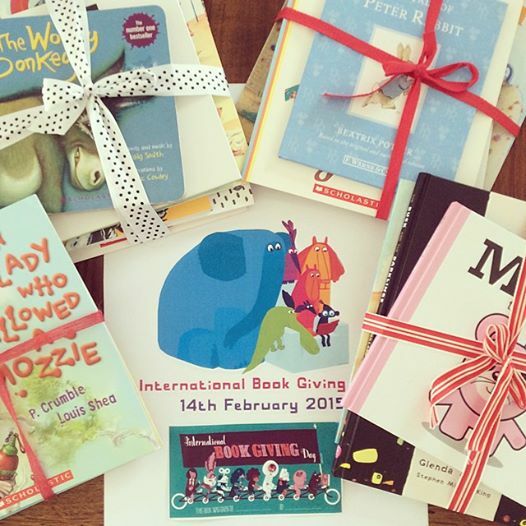 Routes To Reading are taking nominations of nurseries in Bristol, UK for their IBGD giveaway. You can nominate here. Fiona Roberton has designed this gorgeous poster, which I’m totally in love with. After the weekend, a copy is definitely going on my wall! Mowmacre Hill Primary School in Leicester, UK are not only holding a bookmark competition, every pupil in the school will receive a bookmark and book on Friday! 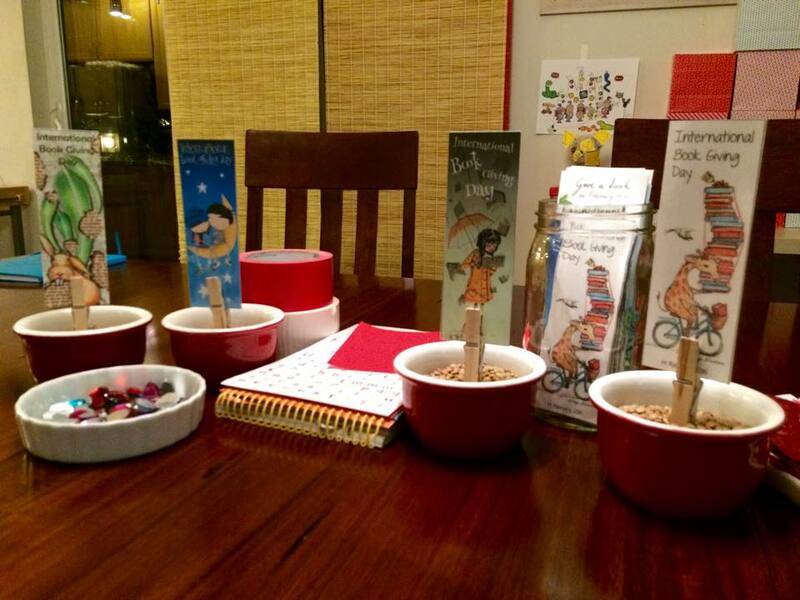 The Itty Bitty Book Van is preparing a road-trip to kindergartens in Geelong, Australia. 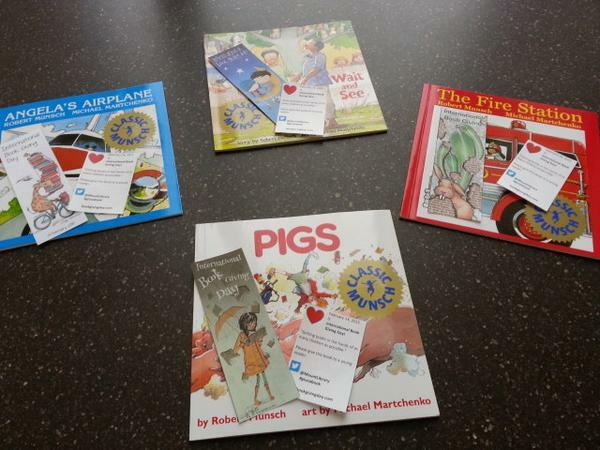 The MSVU Library in Nova Scotia has already got the celebrations underway, gifting these books and book marks to lucky recipients today. I almost missed this one this year…. At Early Years CPD Barefoot Books we continually stress the importance of sharing stories as way of connecting with families and communities to support children’s literacy. Lovely to hear how others around the world are doing the same. Love all of the ideas coming from this. What a great day! It’s very exciting – I love hearing all the different ideas people have. It’s a wonderful reading online! The teachers at Waipahihi school, Taupo NZ had a book giving day today, Fed 13th. Each teacher that wanted to be involved put their book interests on a piece of paper we then randomly drew names out of a hat. At morning tea this morning we each gave our books, new and old, to their new owners. It was great. What a lovely idea Judy! We are all very busy indeed! I am preparing a small ebook to put online on my website and an “ABC book” with a 4th year class during my English as a second language lessons. For more information about this project I wrote a post on my facebook page at https://www.facebook.com/pages/Atelierstorytime/432203073577430. 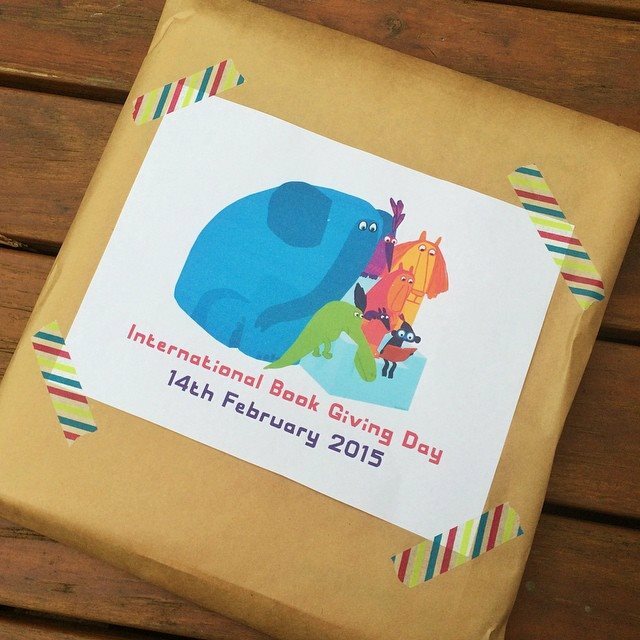 We are almost done: still the letters E, V and Z to go and the book will be finished for International Book Giving Day! Actually, we finished today also letters E, V and Z! Just on time! We gave the book to the school’s library but I am digitalizing the pages so that I can also make a digital book. Lovely! The poster is lovely. Getting ready in my small corner. Isn’t such a great design?! 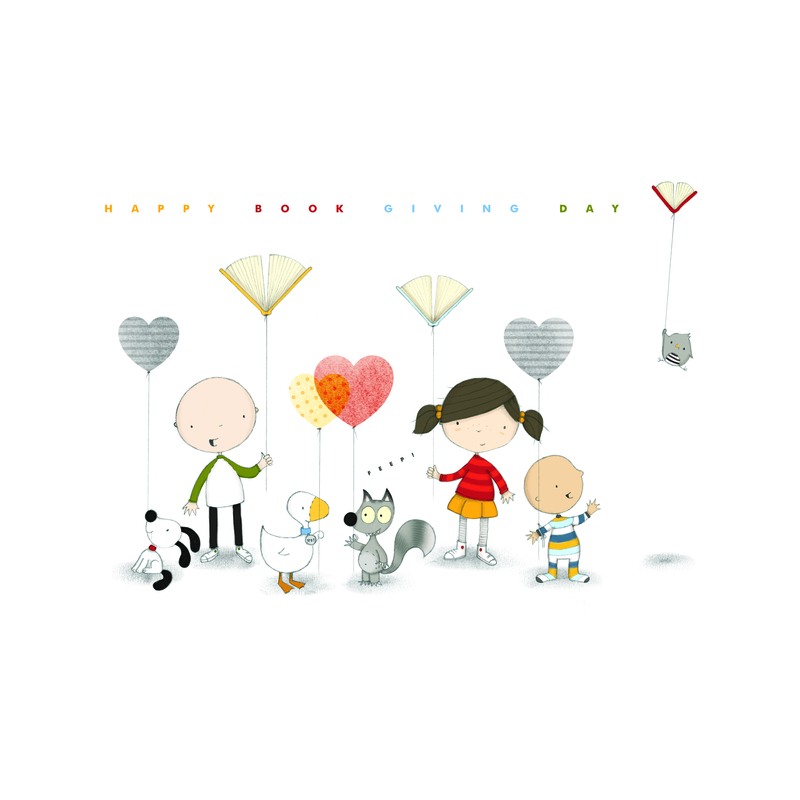 HAve a great Book Giving Day Evelyne.